The ambulance allows to save lives… ambulances make noise with their siren. 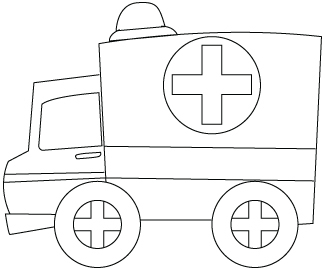 Here is an Ambulance coloring sheet. This entry is filed under Transportation. You can follow any responses to this entry through the RSS 2.0 feed. Both comments and pings are currently closed.